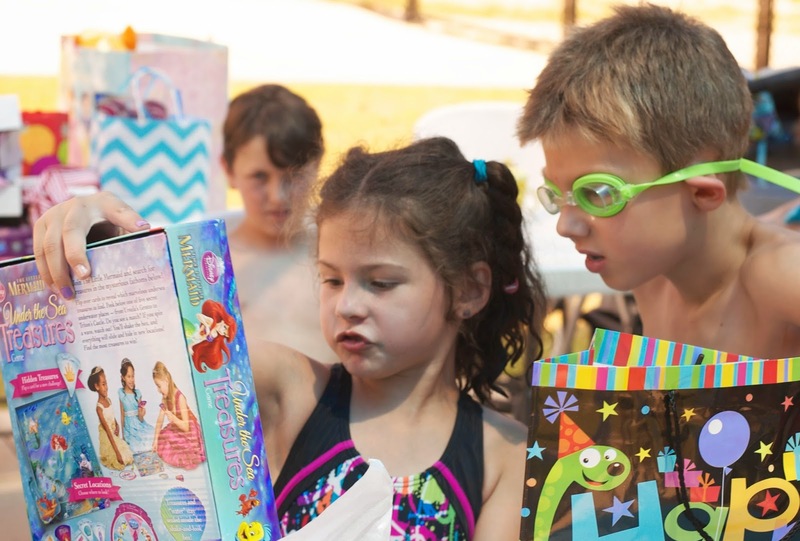 Well, the weekend o' birthday festivities continued over the past few days and I think it's safe to say LO had a tremendously awesome birthday! After the birthday pancakes and gifts from mommy, daddy and her brothers on Friday morning, it was time for a trip to the movie theater to see Planes: Fire & Rescue (which I really LOVED, btw, as well as the kids). Dinner was a trip to Red Robin, per the birthday girl's request, complete with singing and an ice cream sundae. 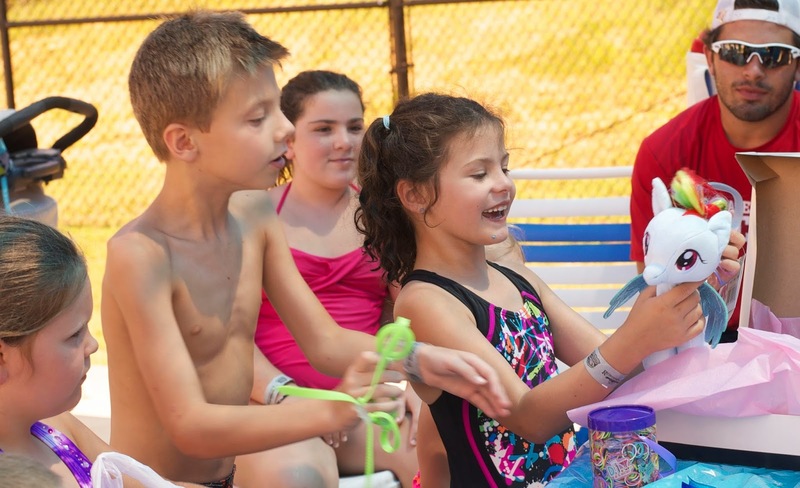 Before we knew it, Sunday was here and, after church, it was time for her big birthday party at the local water park! YAY! 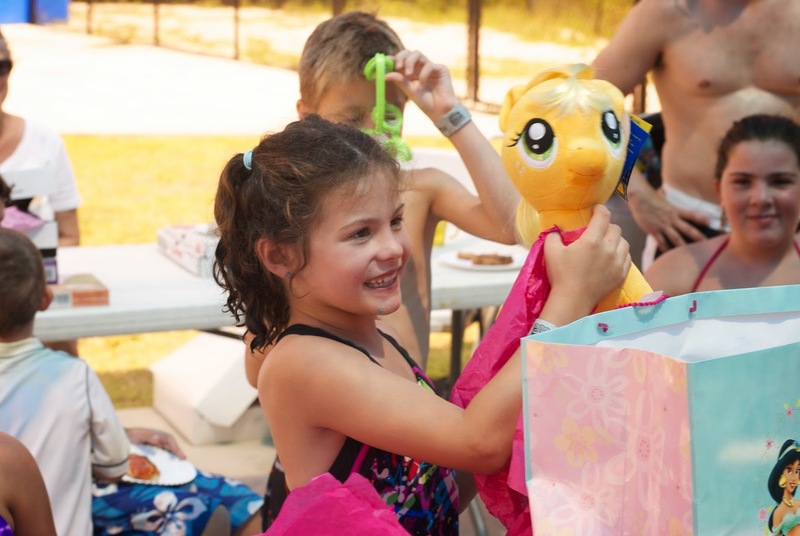 She had a lot of fun with her friends, especially this sweet girl. E had his share of pizza, too. 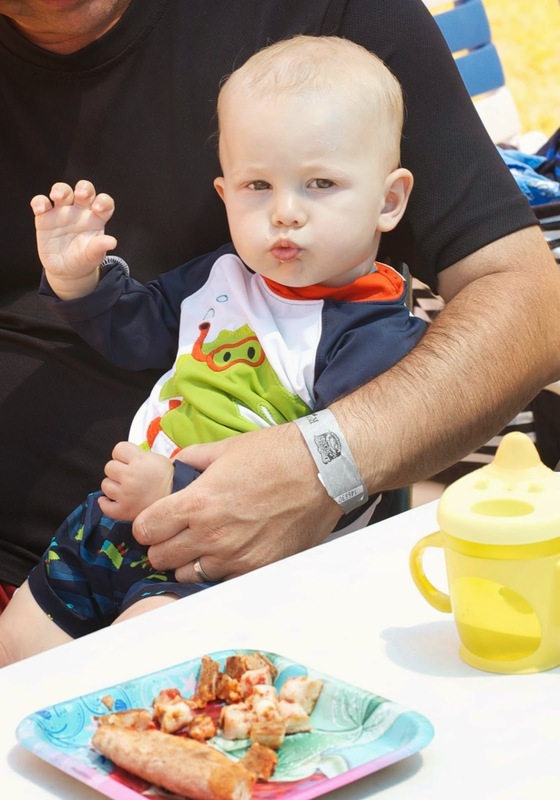 Daddy was feeding him pizza pieces with a plastic knife... Yum! After pizza it was time for the CAKE! Check out this amazing masterpiece (and, as if I even need to mention it, I did not make this georgeousness)! This year, I decided to use Icing Smiles to make a dream cake for both LO's and Chase's birthdays. 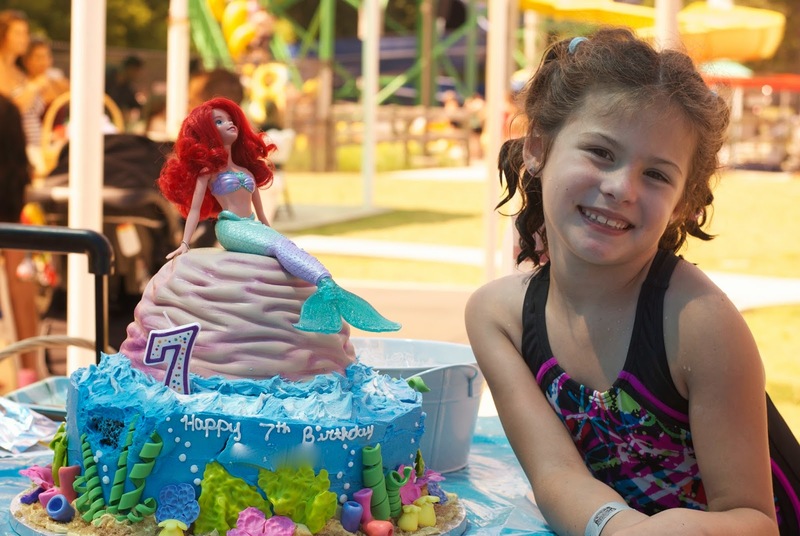 Icing Smiles is a national non-profit organization that partners with local bakeries across the country to provide dream cakes for medically-fragile children and their siblings. This was something I had always considered doing for the kids, but I wanted to wait until after Chase was post-Fontan (3rd scheduled heart surgery). I heard about this amazing organization from other heart families and have seen some amazing works of art provided for these kids! LO's cake was certainly no exception! She was blown away by this cake. The unexpected bonus? 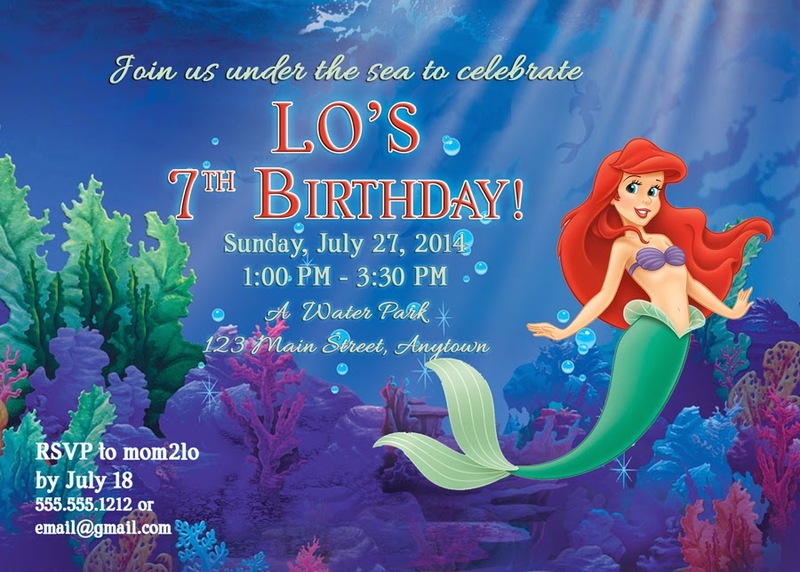 LO has ONE Ariel doll that sings and plays music, so she can't get wet (obviously). 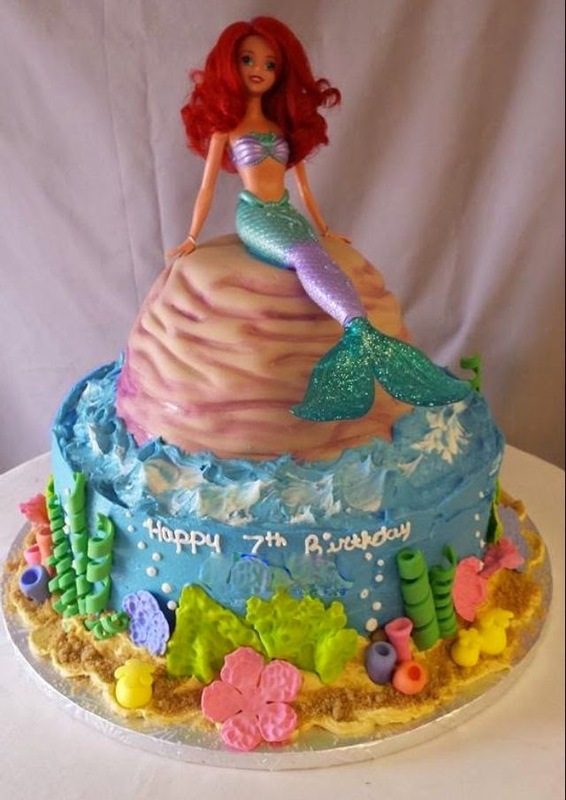 Well, our amazing baker purchased an Ariel doll to complete the cake that was made to be used in the water -- pool, bath tub, etc. 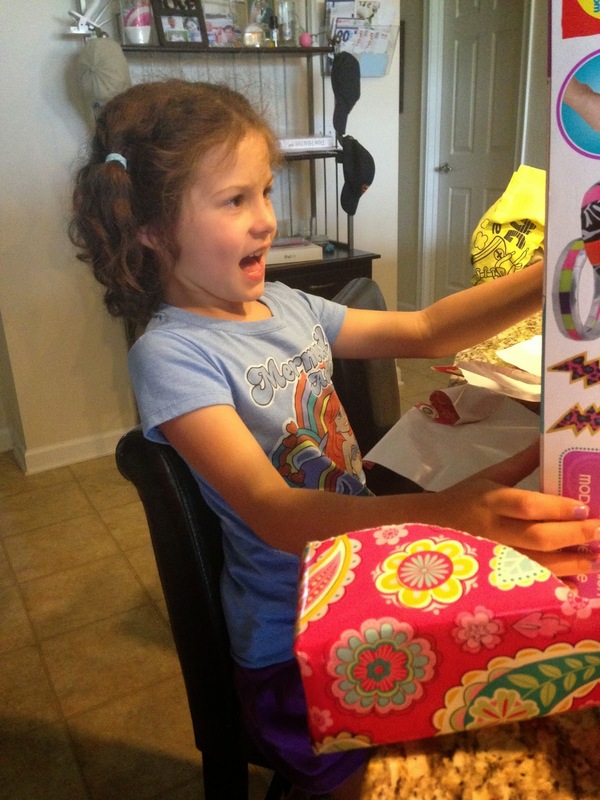 LO couldn't believe it and was completely thrilled! Speaking of gorgeous... this girl! Time to open gifts! Yay for more books!!! 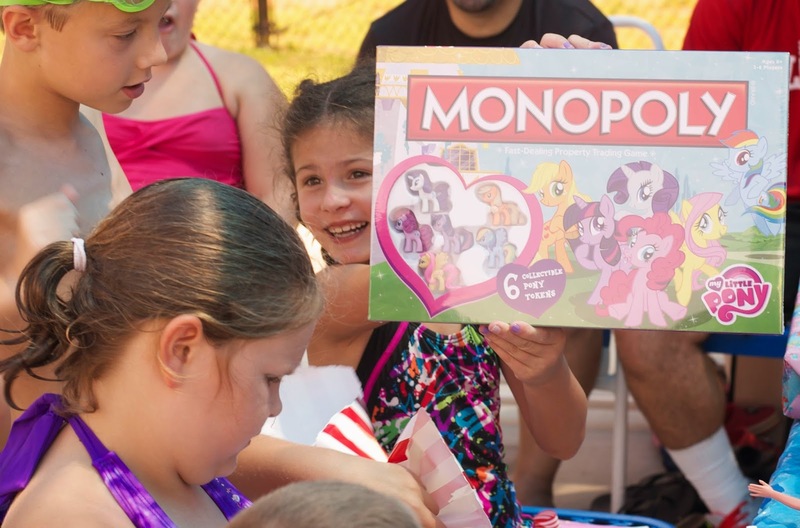 The My Little Pony Monopoly game? This thing is AWESOME! We played it last night -- LO, Chase and I -- and it was amazing how much math fun we were able to do with this game! Chase was counting the numbers on the dice and the spaces, as well as counting the money to buy property and pay taxes, etc.! And I was blown away at how well LO was able to figure out payments, change, etc. This is definitely a must-have for fun learning through play! Now this is gonna be hilarious. I can't wait to bust out this Just Dance Disney Wii game the next time the kids earn some screen time. It's been so wonderful being "unplugged" for the past month or so, and it makes it really awesome for when we DO turn on the TV/Wii/etc. that it's a real treat and a reward, and not the norm any longer. Win!! This guy. 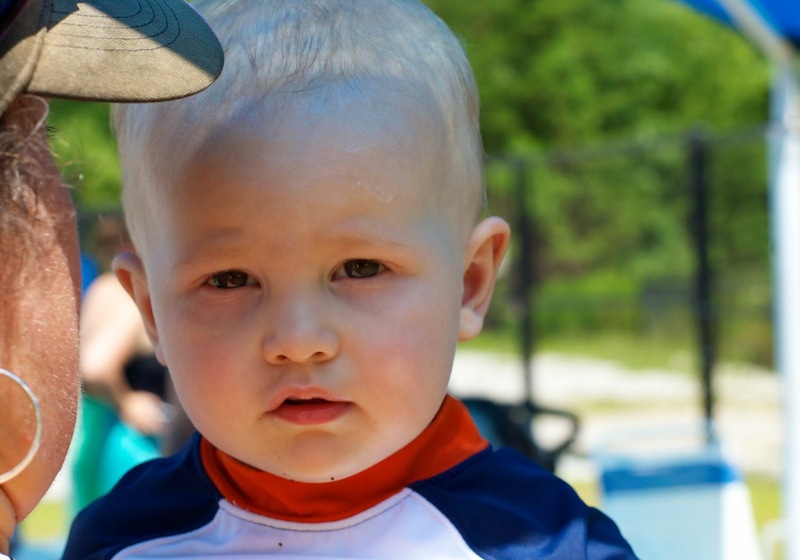 He was AWESOME at the water park all day. Love! One of her absolute faves? Applejack, of course! 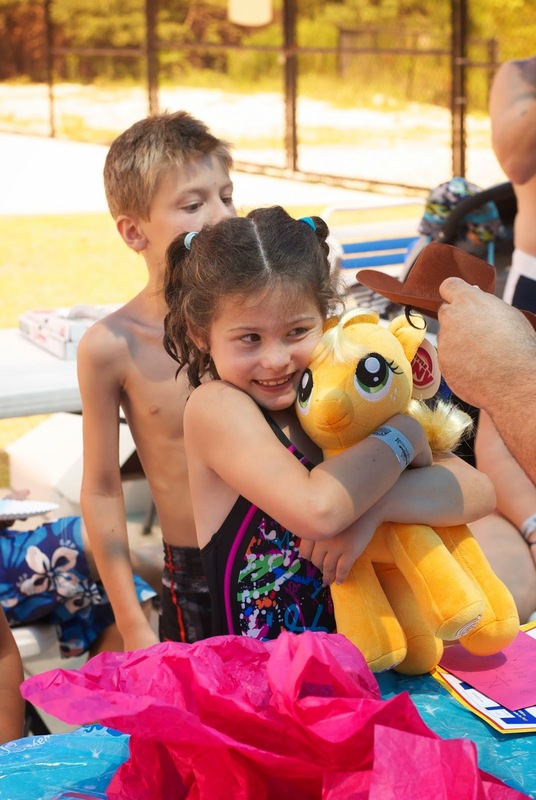 Her MLP collection from Build-A-Bear is complete... that is, until they release the next one! 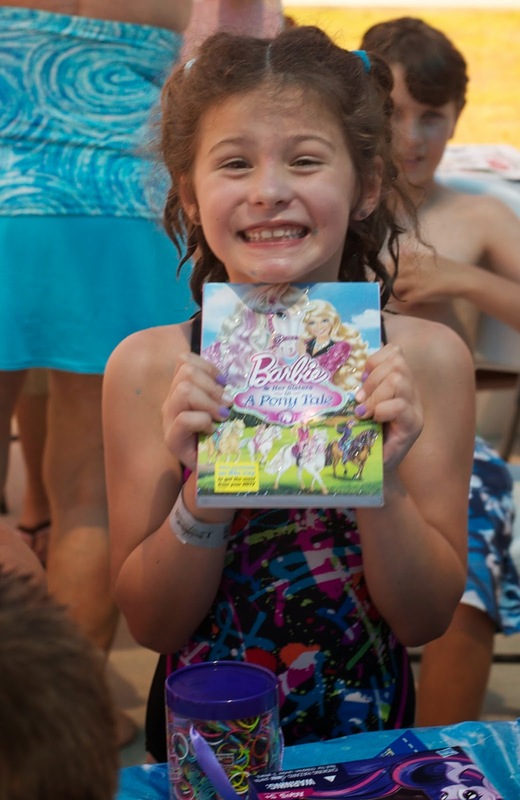 The one and only DVD she requested: Barbie's A Pony Tale. Because we can't get enough horses around here! Another board game -- this time it's The Little Mermaid! I can't wait to play this one with her! 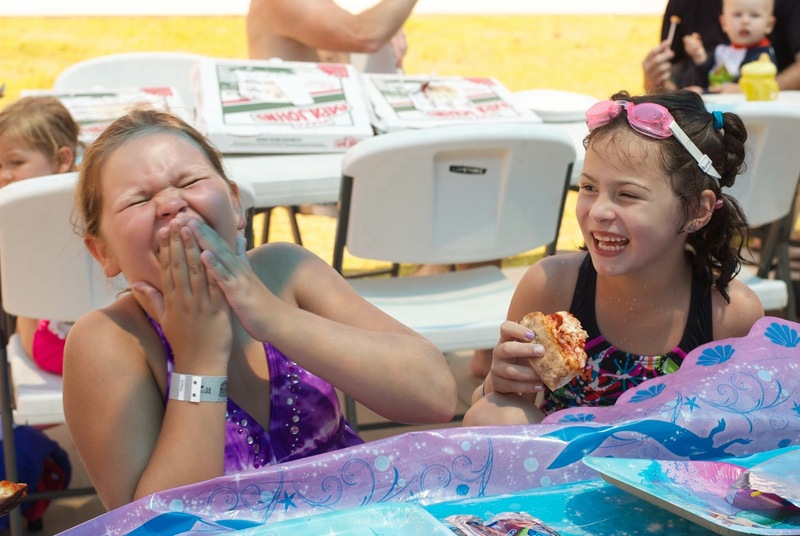 After the cake it was time to hit the water park again! 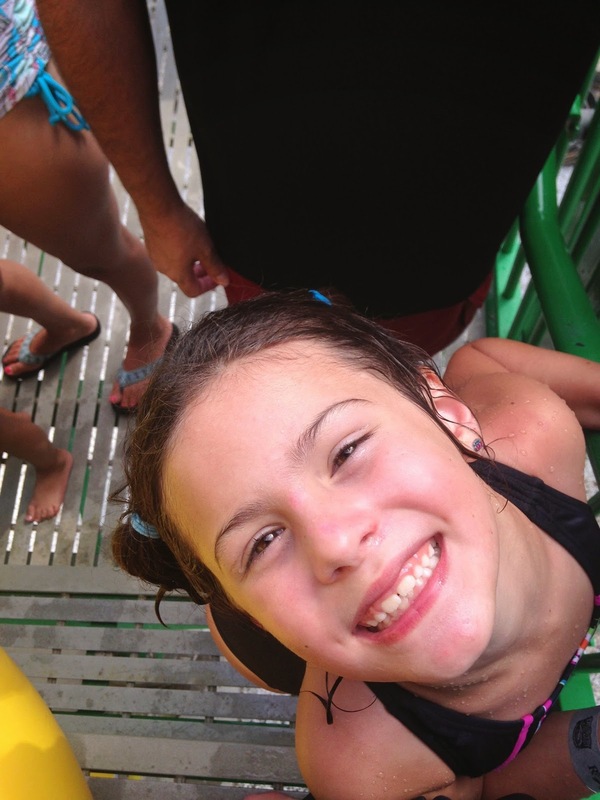 Here's my girl waiting patiently to go down one of the ginormous slides. 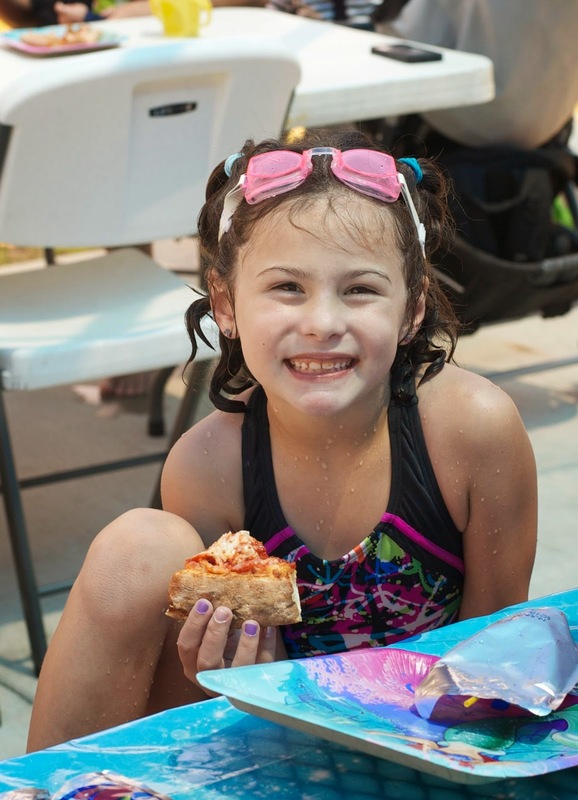 The water park party was a huge success for the kids -- LO had a blast, as did Chase (although I'm realizing he wasn't around for many pics) and E did great as well. 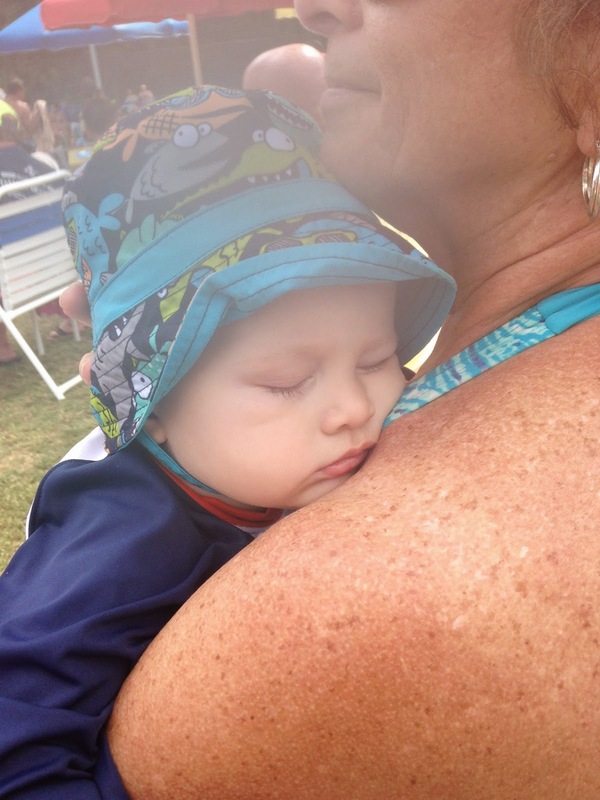 In fact, he eventually snuck in a nap! 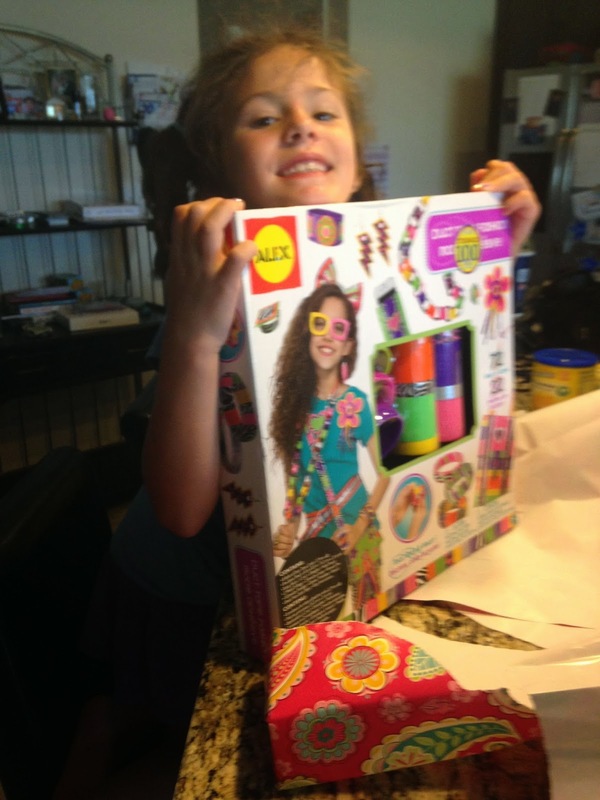 After the water park, we came back home so LO could open a few last gifts that Gramma & PaPa delivered. 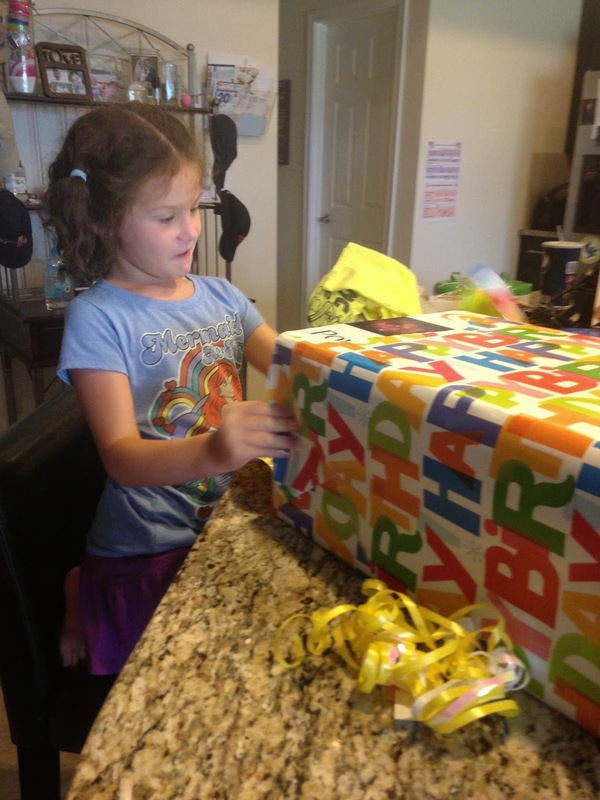 She loves making duct tape accessories with her cousin, so this gift was a great fit! WHAT? 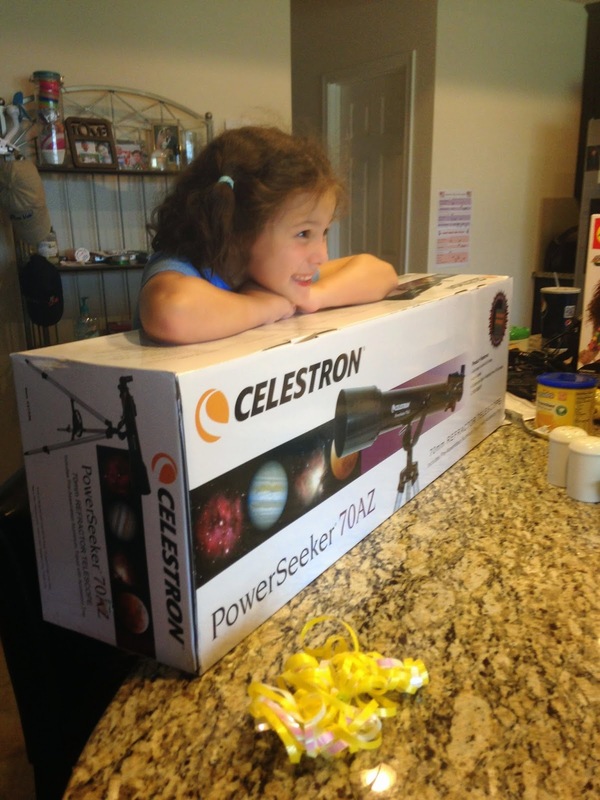 An amazing telescope for our girl! She was totally stoked! 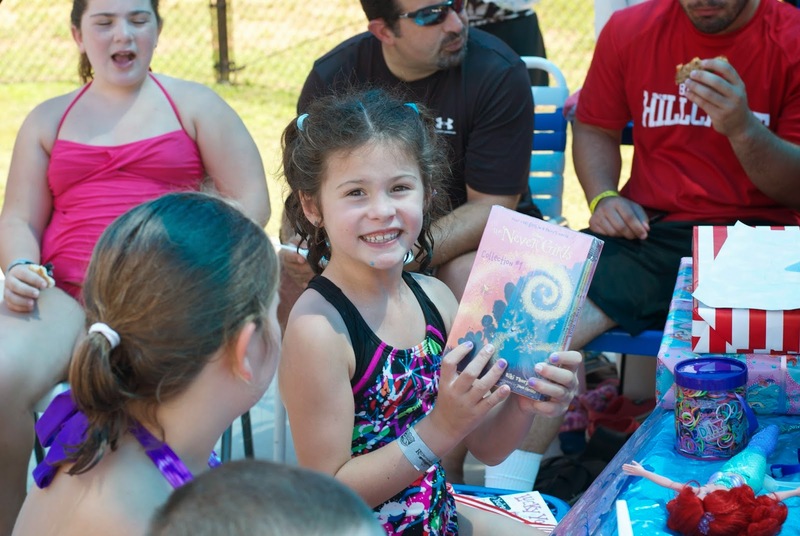 Our science curriculum this year is an entire textbook of: ASTRONOMY, so this gift is perfect for her! 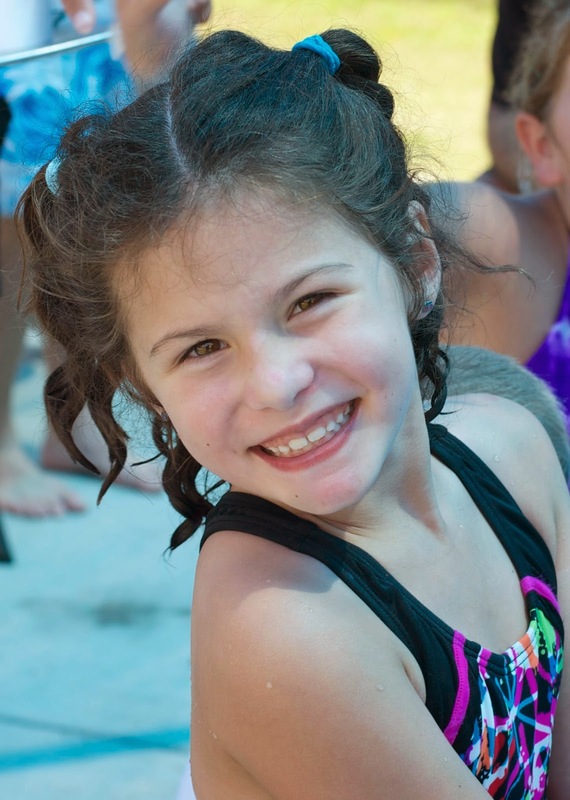 I still can't believe this girl is 7. I love her so much and I am so thankful for the relationship we have. She's my best girl!!! 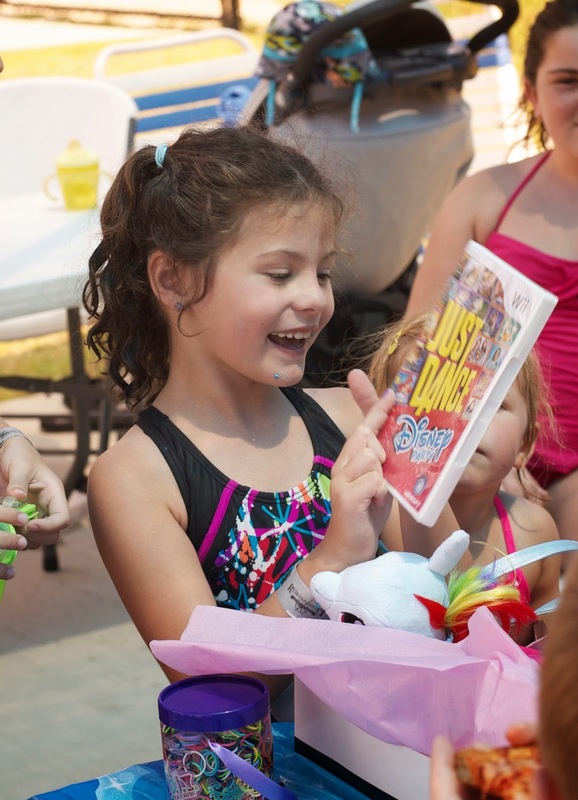 Thank you to everyone who joined us for her party, for the birthday wishes, gifts, and love for our sweet girl!